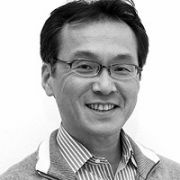 Makoto is the Director Business Management Division for Dentsu in Tokyo. He also worked as an Account Executive for Publicis Global, Japan. Makoto initiated and developed the total branding for Hewlett-Packard, Mega Web and the Toyota auto-salon. He has a BA Degree in Literature from the Waseda University in Tokyo and a MS Degree in Business from the Graduate School of Business, Stanford University. Makoto Arai works and lives in Tokyo, Japan.